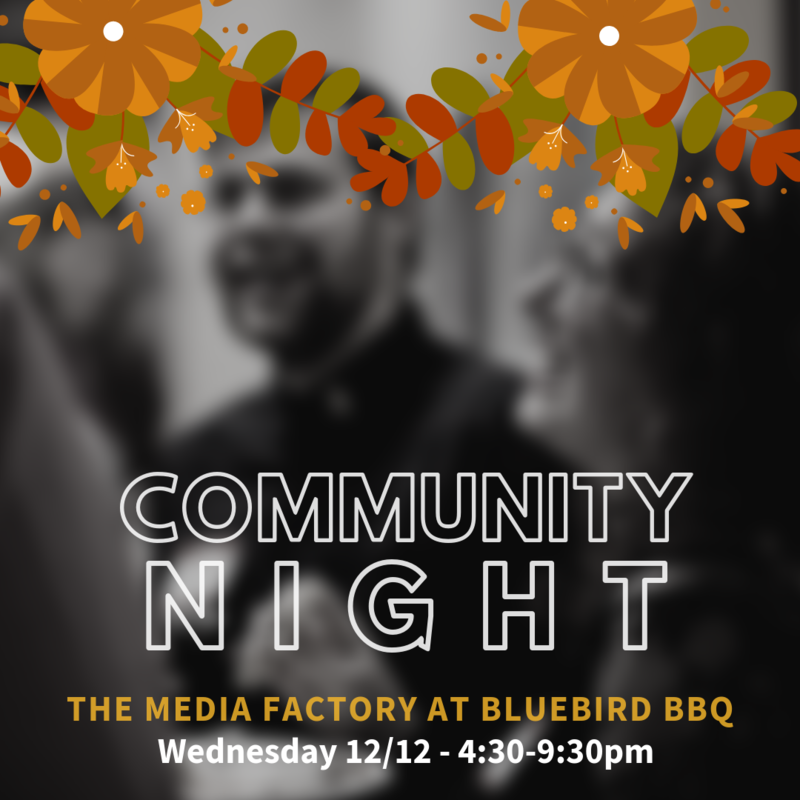 Join Us for Media Factory Community Night at Bluebird BBQ! Come out and enjoy an evening of local barbecue (vegetarian options available) to benefit the Media Factory! If thirty people dine at the Bluebird on Wednesday, December 12th from 4:30pm to 9:30pm (and mention Community Night) – the restaurant will donate 10% of the evening’s receipts to the Media Factory. This is a great opportunity to raise the visibility of the Media Factory and WBTV-LP will directly benefit from funds raised. Support the Media Factory by making a reservation at Bluebird Barbecue!